Fr. 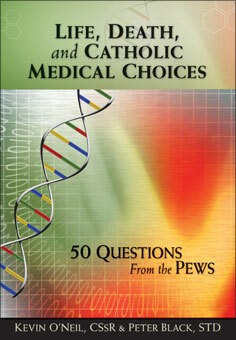 Kevin O’Neil, an associate professor of moral theology at Washington Theological Union in Washington, D.C., will be discussing his new book, "Life, Death and Catholic Medical Choices" during a live radio interview June 7. He’ll be a guest on KBVM Catholic Radio (88.3 FM) based in Portland, OR. If you’re on Pacific Time, you can catch the interview at 8 a.m. (11 a.m. Eastern). Those outside the Portland area can listen live online at www.kbvm.fm. Click on the "listen now" button at the top of the page. Read more about Fr. Kevin’s book, published by Liguori Publications, here.